For many of us, scheduling is one of the primary objectives to justify the investment of time and money in manufacturing ERP. Get it wrong and you are on the road to ERP failure. Where is the job in production? The customer just called, can we insert one more job into today’s production? Will we need to add a third shift next month when that big order hits the shop? We fell behind in production last week, how can we arrange the work to catch up with the least overtime? Manufacturing ERP scheduling is part of the answer to all these questions. In addition, scheduling goes beyond our shop. Scheduling also drives material requirements. When we schedule a job to run at the end of next week, we also schedule the material that we have to purchase and receive at the beginning of next week. Many kinds of scheduling issues can lead to manufacturing ERP failure. One of the most common failures is when we set a schedule for the week and assume the planned production will be done by the end of this week. Scheduling a manufacturing operation is the result of many assumptions. We assume work will be done at a certain pace. But that pace is not certain – it is an average over time based on different processes, different, individuals, or it is an engineer’s dream. Scheduling can be the heart of a well-running manufacturing process. Scheduling can also lead to manufacturing ERP failure when not monitored and maintained frequently. We assume materials will be available at the time needed for the schedule. What happens if the supplier’s truck was caught behind a traffic accident on the highway? Is your manufacturing ERP integrated with your supplier distribution updates? We assume subassemblies from all previous operations will all arrive as scheduled for the next operation. Scheduling a manufacturing plant cannot be static. Ideally, the schedule will be recalculated by your ERP every time an event occurs or an ERP transaction is recorded. Then the schedule might be perfect but if we cannot communicate the schedule changes fast enough, we will be constantly juggling balls and when one falls, we have to pick it back up and hope no one tosses us any more while we are blinking. We can use manufacturing ERP scheduling in many different ways to reduce the risk of failure. We have finite and infinite tools at hand. We can schedule forward and backward. We can split jobs and combine the operations from multiple jobs to run simultaneously. Perhaps Sonya, who works in production, sees two jobs waiting; one is easy and she just has enough time to complete it by the end of her shift and the other is difficult and probably will not be complete when her shift is due to end. Does she check your schedule? Or, does she cherry-pick the easy work? You know the answer. Production scheduling can be the heart of a well-running manufacturing process. Scheduling can also lead to manufacturing ERP failure when not monitored and maintained frequently. Supply chains can fail for any number of reasons. Many, such as a supplier that suddenly goes out of business are often beyond the control of management. However there are some causes of supply chain failure, such as poor ERP supply chain processes, where the blame lies squarely at the feet of senior management. When supply chain management is all about finding the lowest cost supplier, there are risks. If the low-cost supplier delivers poor quality products a business can compensate by increasing quality controls or they can accept a decline in product quality. Many businesses have come to rely on ERP as their supply chain safety net. In the case of low cost suppliers, many use their ERP quality control modules or CRM to accommodate the risk involved. This can often place pressure on the system and its users increasing the likelihood of supply chain failure. ERP supply chain management is a valuable tool, but one that must be used alongside common sense and the other tools in our toolbox. Both supply and demand can be hurt when ERP supply chain management processes are automated without important fail safe controls in place. If a poor forecast drives demands and orders are placed with suppliers without forecast verification, the result can be a surplus or deficit in inventory. When a purchase order is placed and conditions change during the lead time, similar inventory problems can occur. We all strive for automated ERP processes as they bring lower overall costs and usually improved control, but we need to ensure these automated processes are regularly audited for accuracy and reliability. Outsourcing production is often a good method of improving efficiencies – we should stick to our core competencies after all. This can mean we ask our suppliers to deliver assembled components instead of several components we assembled in-house in the past. We also can outsource fulfillment. The final assembly in production may be whether to deliver our product with a pink cover or a green one and our third party distribution center can help. We will expect gains in efficiency to pay for these outsourced operations. What happens when we use ERP to predict a 30% gain in efficiency and decided to lay off 30% of our own labor force? We save money and our stock price goes up. But when we realize we should have only laid off 25%, we are already late on the next orders and some of the 5% already have new jobs, the importance of accurate efficiency forecasting becomes apparent. 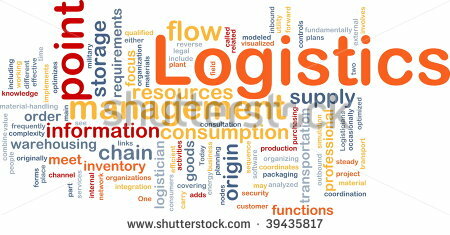 Our supply chain is a critical process and we must manage it well using our ERP. Good management can lift our business above the competition. Pay attention to the details and constantly seek ERP supply chain management improvements. In business, lean means eliminating waste. Waste can be seen in manufacturing and office practices and is also found in the supply chain, but too few businesses use lean ERP processes to focus on supply chain waste. The final principle of lean is to strive for perfection; almost all of us have some waste in our supply chain to find and eliminate. Lean supply chains are customer-centric. Your ERP has modules to manage both customer relationships and supplier relationships. Use customer relationship management (CRM) to go beyond prospecting for new business. Contact your customers regularly to inquire about expected and suspected changes to order patterns and to discuss how you and your customer can work together for mutual benefit. Integrate your ERP with their order management system to see, as a minimum, planned orders from their side. Lean ERP can integrate business intelligence from all sources. You might have macro-economic forecasts and point-of-sale data that can be combined with data from your customers to develop more powerful order forecasts. Use your supplier relationship management (SRM) module to learn what changes your suppliers see or are forecasting. Much of these changes might seem to be soft data but, when combined, can become valuable predictors. Look at the value stream from your customer’s perspective. – Do all your purchasing activities add value? – Do all your supplier’s activities add value? Use supplier audits to check how well they have eliminated waste. Record your findings in your ERP SRM module and agree improvement targets. Integrate your SRM with their communications systems to allow them to report on their progress. Share the improvements with customers to demonstrate your desire to reduce your selling price and improve your delivery to them. What can you expect? Longer, better relationships with your suppliers and customers. Lower costs, both for the products and the transactions involved. It is important to monitor supplier performance in your ERP from all directions. Which delivery targets have been met and missed? How much time is needed from placing an order to receipt of that material ready for your use? What unnecessary processes are you using; are they using unnecessary processes that add no value? Answering these questions will allow you to reduce your transaction costs to the lowest possible amount. Just-in-time delivery is only one model of eliminating waste through a lean supply chain. Can you change your supply-chain model to a pull system? What do you and your supplier need to do to become more responsive? ERP is already a repository of your transactions. It can be expanded using user-defined tables and fields to store exactly the data you require and support the supply chain model you wish to pursue. What can you expect? Longer, better relationships with your suppliers and customers. Lower costs, both for the products and the transactions involved. Better forecasting, which your supply chain will be able to use to help your customers add value. Higher profits for all and the ability to responsively manage any change that comes around the corner. Win-win. The article was posted by: Tom Miller in ERP Focus knowledge blog. Looking for a career in a company that challenges and cares? Dear Friends…. 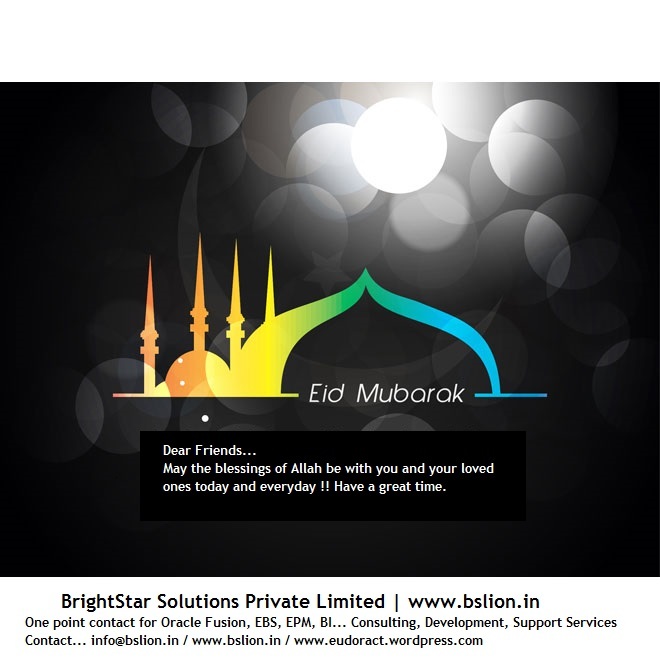 Wishing All… A Very Happy and Blessed Eid. Contract staff augmentation is one of the best means by which organizations can fill short-term vacancies. In other words, employers can hire people on a contract basis to meet the seasonal requirements they have. This type of engagement allows organizations to ramp up resources on a need basis and reduce the workforce during the low period. Contract staff augmentation helps save costs incurred in hiring permanent resources that are only required for short term requirements. Contract to hire staffing allows organizations to assess the resources’ skills while on contract and then hire based on their performance during this period. 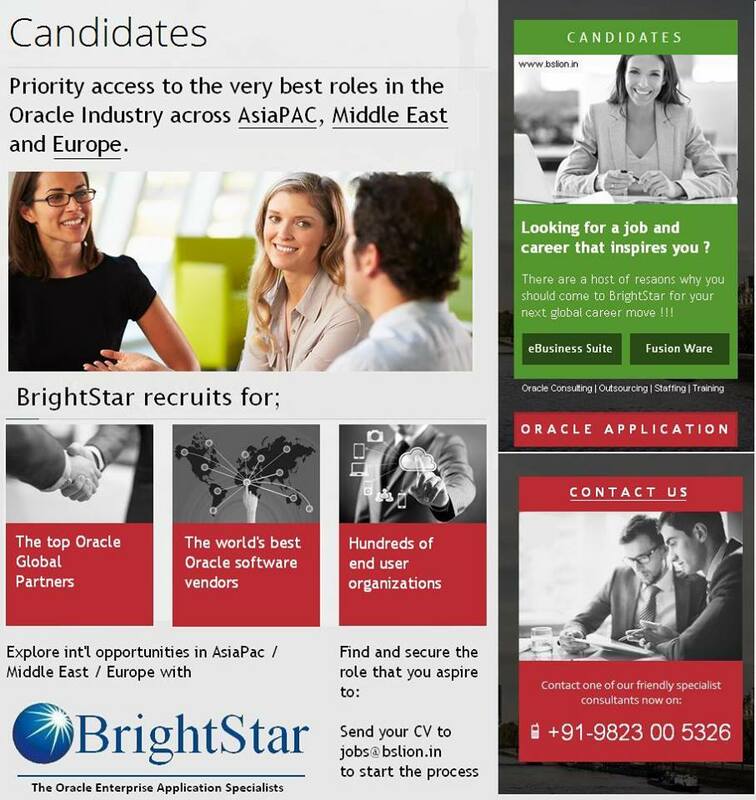 BrightStar can provide qualified people that suit your requirements from our vast pool of resources, help with screening the right candidates while on contract and allow you to hire the best directly to your payroll. There may be instances where our customers do not have the bandwidth to manage the day to day activities of the contract personnel. 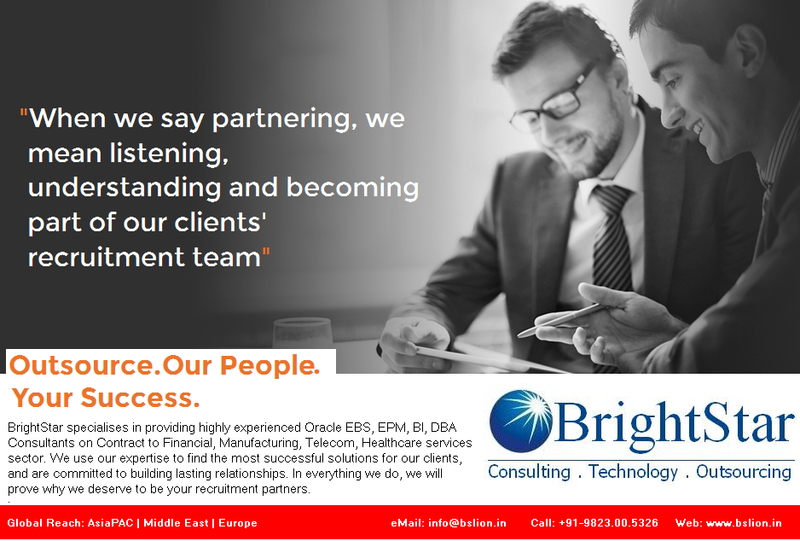 BrightStar can provide a senior member who will oversee and direct the day to day tasks for the team and then report to the customers’ project-in-charge. This allows the customer to focus on their business rather than managing individuals from the contract team. Highly per-formant run time platform. All SOA Suite facilities are available to a BPM application. BPEL models,for SOA Suite,share a common process core for execution. IF/THEN and decision table rule formats. Interactions may includes approvals and execution management tasks that advance a process instance through the BPMN model. Provides simulation capabilities so you can watch a process execute before you deploy it. Process templates can be created in BPM studio and then populated using Process Composer. Provides documents sharing,discussions,wikis,lists,links,tagging and instant messaging. Allows sharing between BPM Studio and Business Process Composer users. Acts as a run-time repository vs. PAM’S role as a design time repository. Provides task in-box,process tracking and performance dashboards. Allows business administrators to manage process instances.